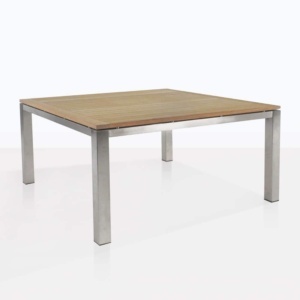 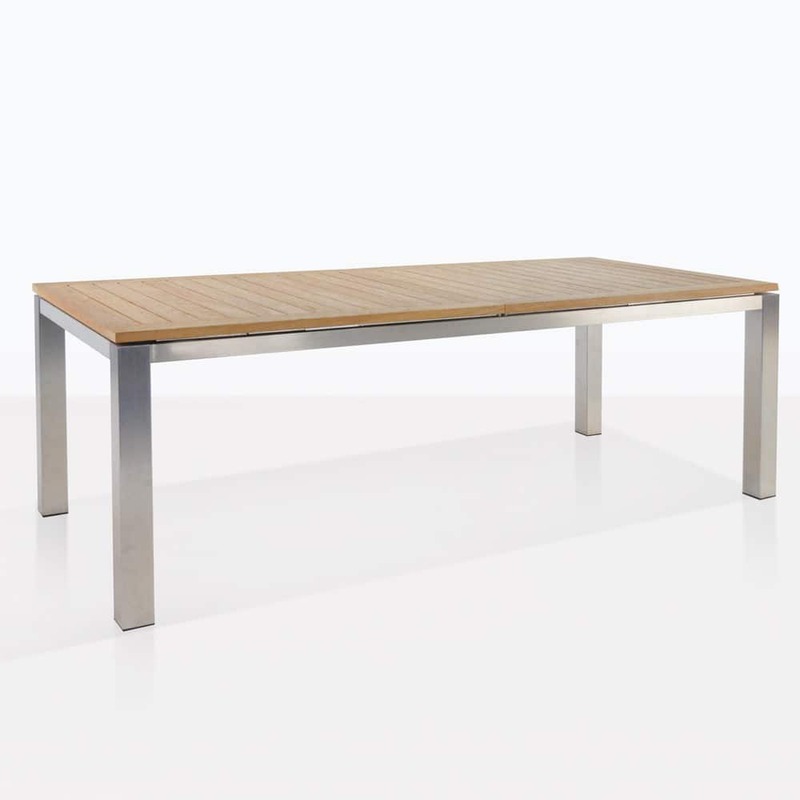 Ideal for parties, the extendable stainless steel table range at Design Warehouse come in three sizes. 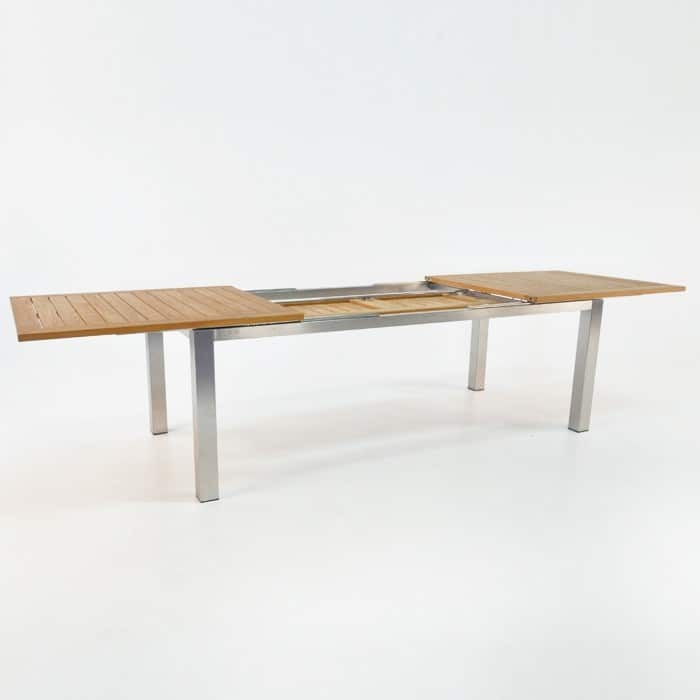 Each piece have a leaf which emerges from the frame work when you need to make your table bigger! 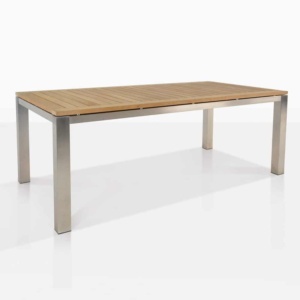 The 220 cm Stainless Steel Extension Table opens up to a whopping 340 cm when fully extended, perfect for large gatherings both inside and out. 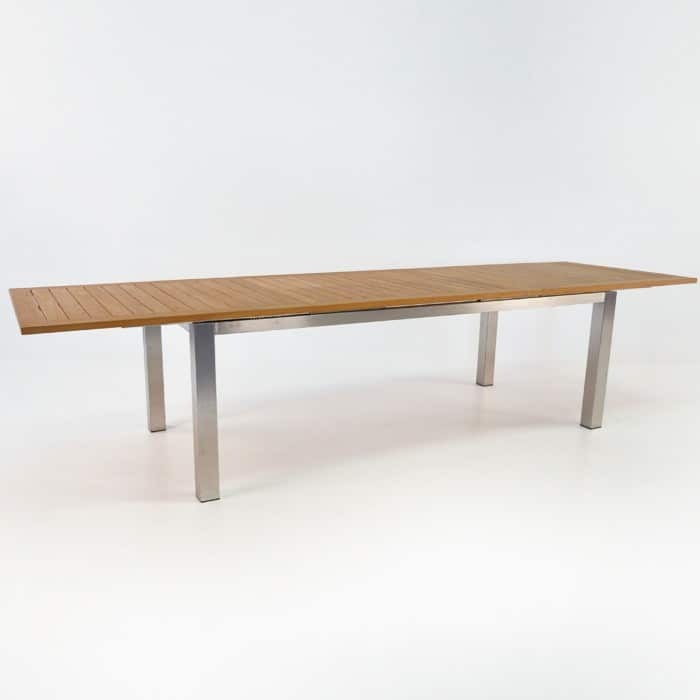 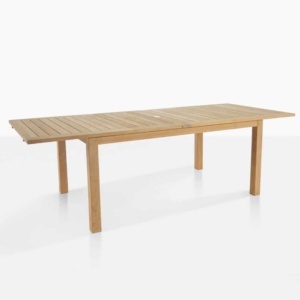 Made from #316 Stainless Steel with Grade A Teak wood, this is a glamorous product that extremely high quality! 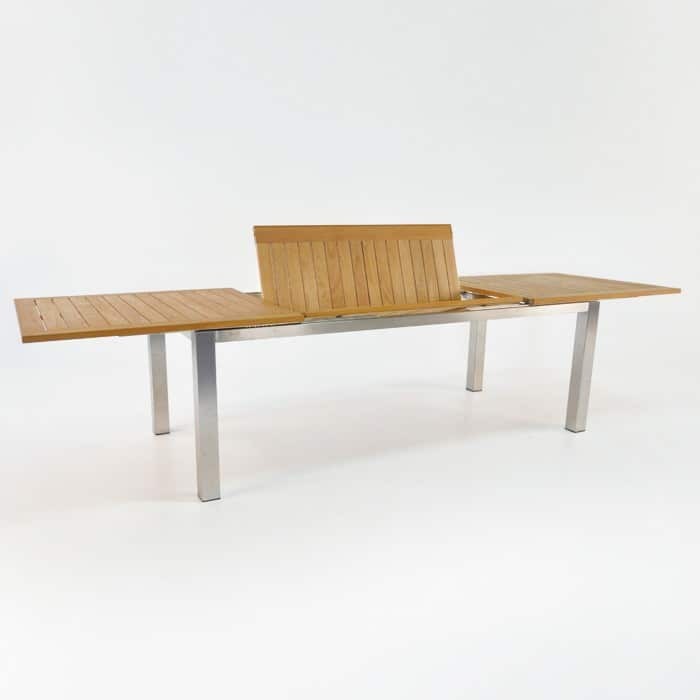 Pair up with a Bruno Chair for a magnificently modern look.